I’m really enjoying this stage of my daughter’s life. Unlike my son, my girl is very much into coloring, painting and creating. 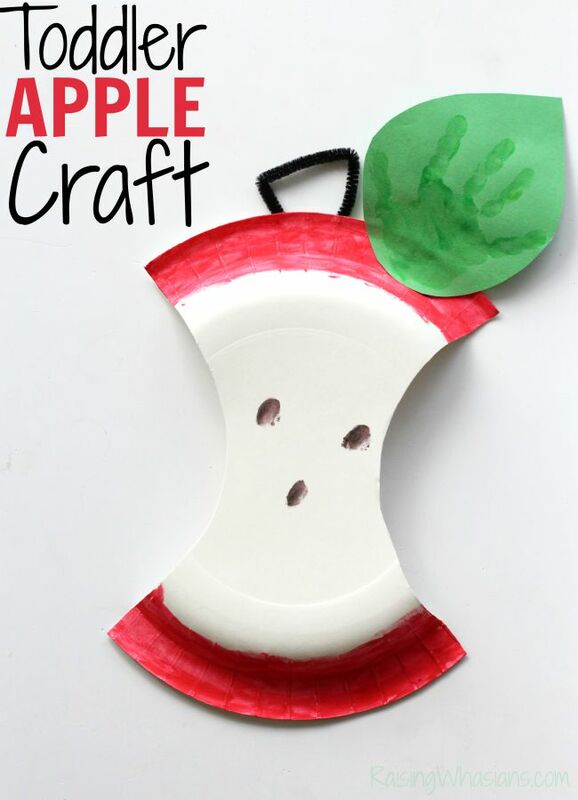 So to foster her creative abilities (you never know, she may be the next Picasso), we turned to fall for this apple inspired craft! 2. 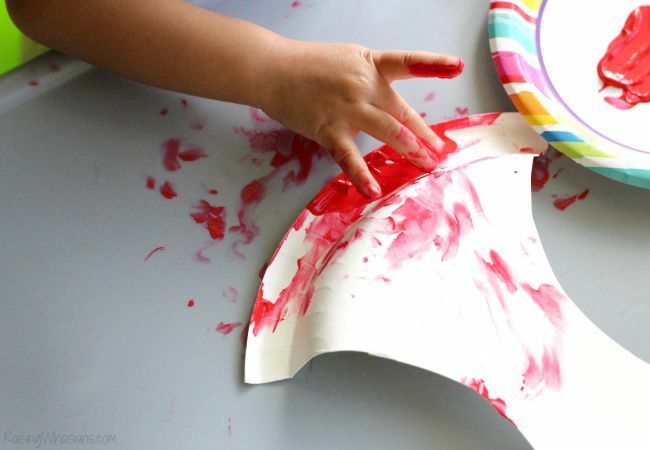 Dipping little fingertips into the red fingerpaint, paint the outer circular edges of the paper plate (NOT where we cut out the “c”) red. Wipe off the excess paint from their fingers. 3. Dip one finger into black fingerpaint. “Dot” the fingertip into the center of the plate to create apple seeds. Wipe off excess paint. 4. Get our your green construction paper. 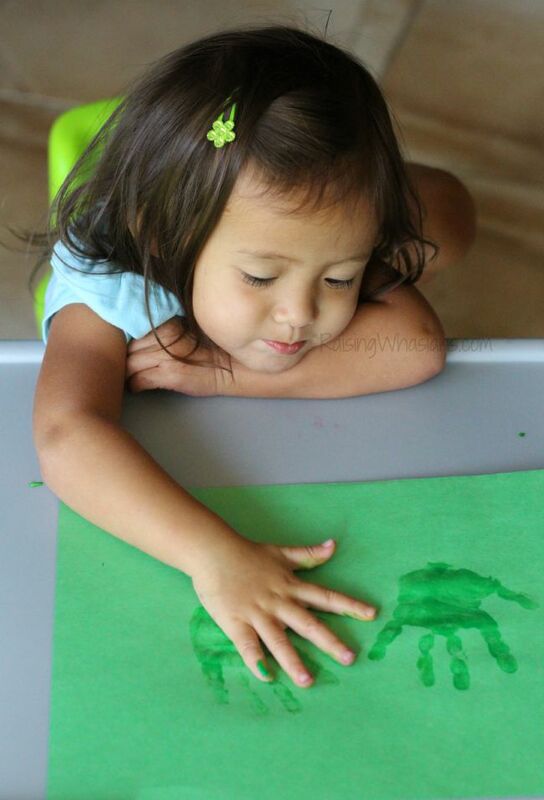 Dip the palm of the hand into green fingerpaint. Press hand down onto the construction paper to get your green leaves. Cut out the hand into a leaf shape. Be sure to clean off those little hands! 5. Using your black pipe cleaner, shape into your desired stem. Glue to the top of your apple core. 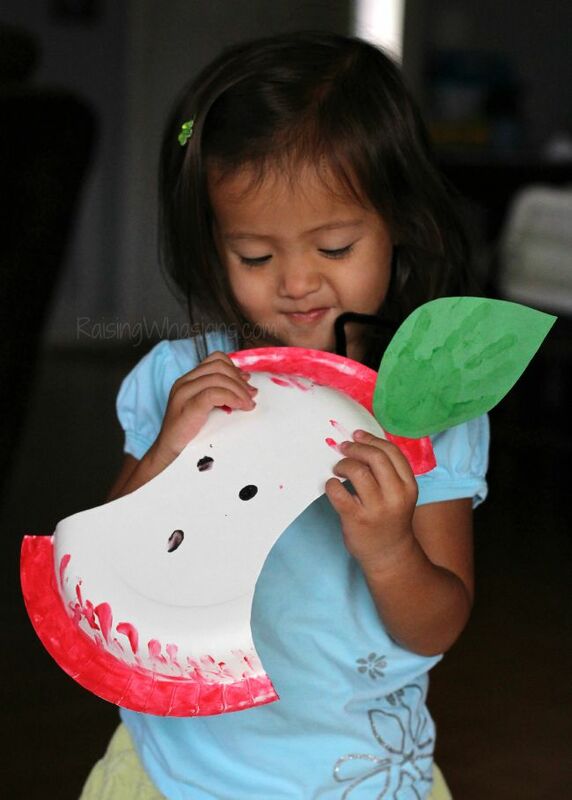 Glue your handprint leaf to the top of the apple core. 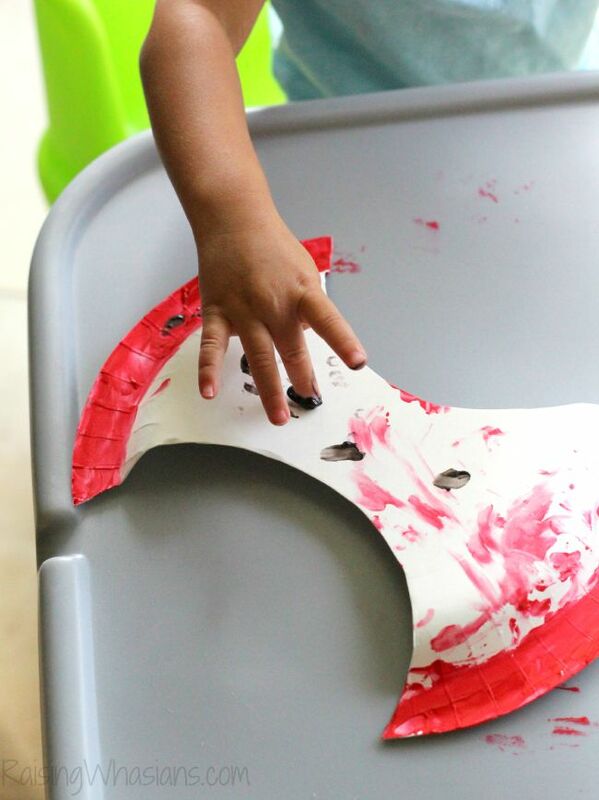 Admire your adorable fall inspired toddler craft! Fingerpaint projects in this house are NO small feat. What’s my secret to fingerpaint success? I always keep a stack of baby wipes nearby for painting crafts. But not just any wipes will do for this baby girl’s sensitive skin. That’s why we use WaterWipes. Today, I’m proud to announce that I am a WaterWipes Ambassador! For children with diaper rash, sensitive skin and/or eczema, WaterWipes is recognized by the National Eczema Association as being the only baby wipe with absolutely no chemicals, receiving a 4 out of 5 Seal of Acceptance Rating. Because these wipes are chemical-free, that also means that there are NO preservatives. The package will keep for up to 15 months before it is opened. 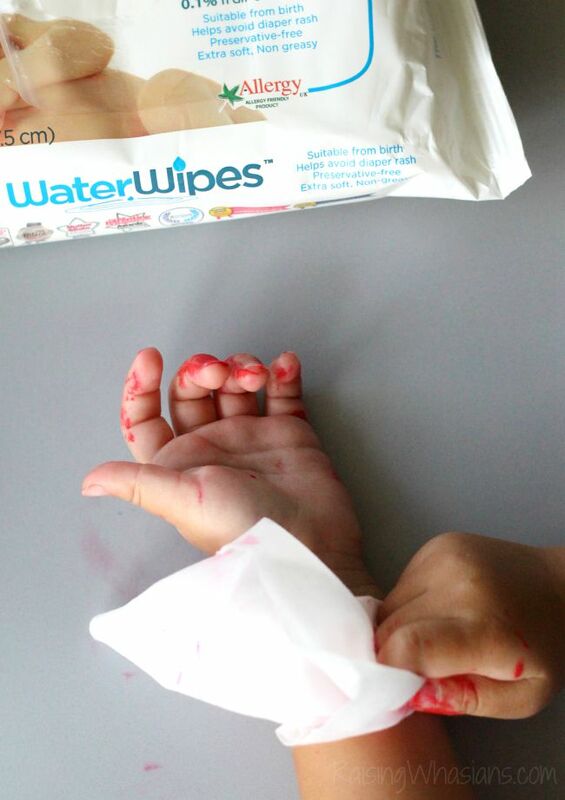 Once you open your WaterWipes package, we recommend that you use the pack within 1 month. And worried about the cleaning power? Well, this mom can attest to that. With quite a few diaper changes, hand wiping and mouth cleaning under my belt, WaterWipes gets the job done. In fact, I’ve been using WaterWipes since summer of this year and we still LOVE the results! Check out the full review and tips for sensitive skin babies HERE. Ready to learn more? Check out this WaterWipes video to see the baby wipes difference. Be sure to follow WaterWipes via Facebook, Twitter (hashtag #WaterWipes) Pinterest, and Instagram for the latest products, tips and more. I cannot wait to share more with you on my WaterWipes Ambassador journey, right here on the blog in the coming months! 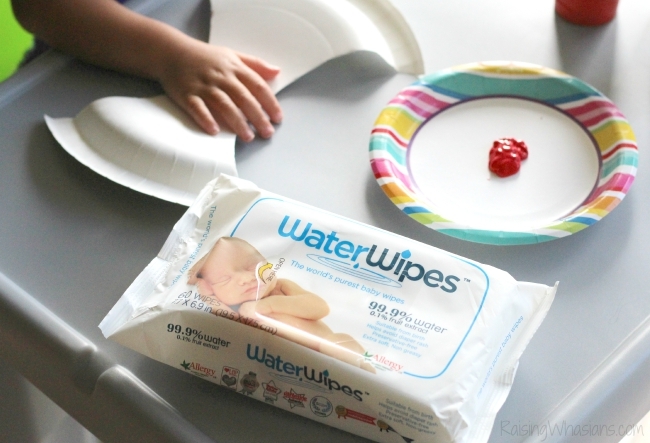 What do you love about new WaterWipes baby wipes? What a cute and creative project. The waterwipes worked really well with the clean up. Thank you for including a craft that is suitable for young children. My youngest granddaughter wants to do crafts like her older sisters, but sometimes she’s too young to do them. This should make her happy. What a cute and easy craft. My kids would have loved it. This is such a cute idea. It’s nice to have some safe wipes to clean up with afterwards! 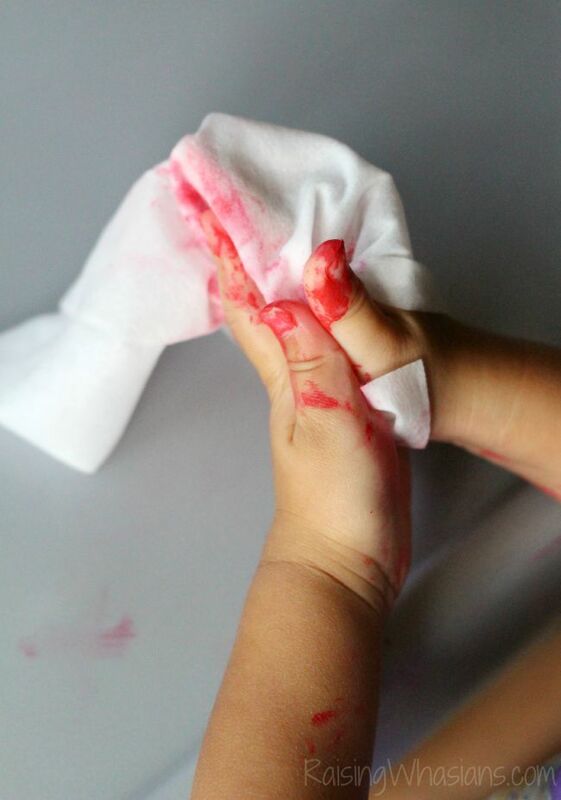 Looks like your little one had lots of fun and cleanup with these wipes looks super easy. Love that apple. Really looks like water wipes come in handy for you. never heard of these wipes till now and we like to keep something similar around the house for the kiddos. I like that they are chemical free. This is such a cute craft. I will have to try making this with my kids this weekend. What an adorable craft! Kids always love painting. I’m dying right now! This craft is so darling and those little hands?! Precious! I love the craft. I haven’t heard of waterwipes but I will check it out. What a cute craft to do with the baby. The apple is so cute and those wipes do work wonders. That is definitely an adorable project idea for little ones. I love the thought of cleaning up without the chemicals too! What a cute craft idea and these wipes sound great, I had never heard of them before. Um, these are absolutely adorable! I’m going to have to save this for when my granddaughter gets just a little bit older (she’s almost six months now). 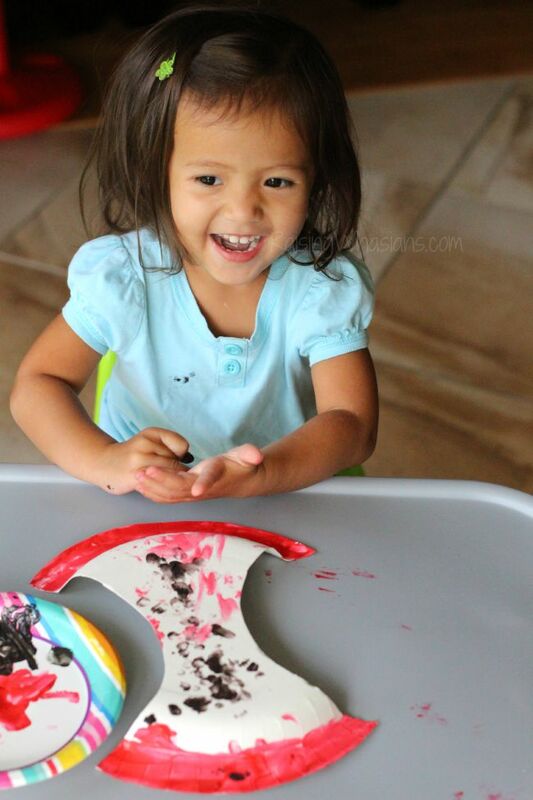 I’m looking forward to the tons of fun crafts we will do! What a fun craft. I miss doing things like that with our kids. Waterwipes look like they took care of the mess! What a great idea! I have to use this for the daycare parents ideas. I miss my kids being this age and seeing them make adorable crafts like this. I think the Water Wipes are a must have if yo have a little one at home. How cute is this?! 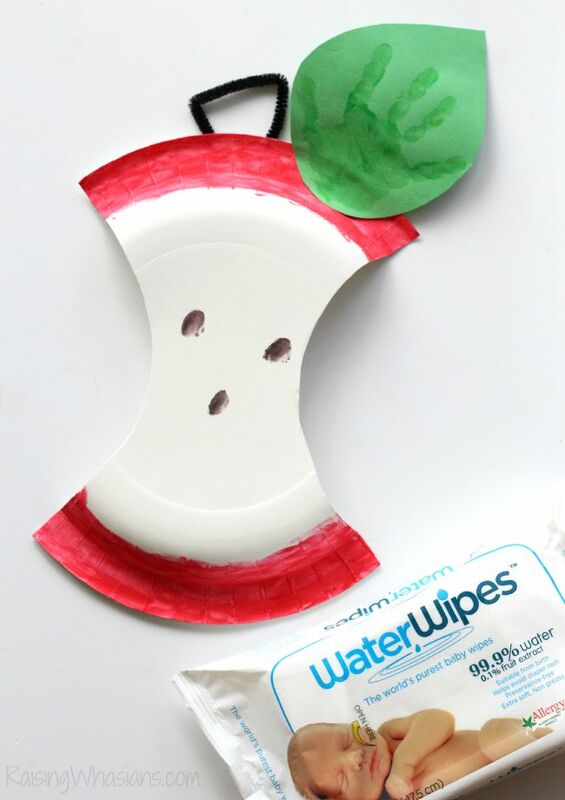 What a fun craft and the water wipes make clean up a breeze. Don’t know what’s cuter, the apple craft or the artist. It’s important, especially with paint, that you can clean toddlers up quickly. Oh that is so adorable! We have been trying to do little things getting him back into the school mode…he starts the big kindergarten this year! We will have to do this one! I have heard of WaterWipes but I have never used it before. It’s always great to use chemical free products, especially where children are concerned. This is a cute craft, thank you for sharing this post. What a fun craft for the fall and back to school time! What a cute crafts! I’m sure you needed those Waterwipes when your little girl was all done! 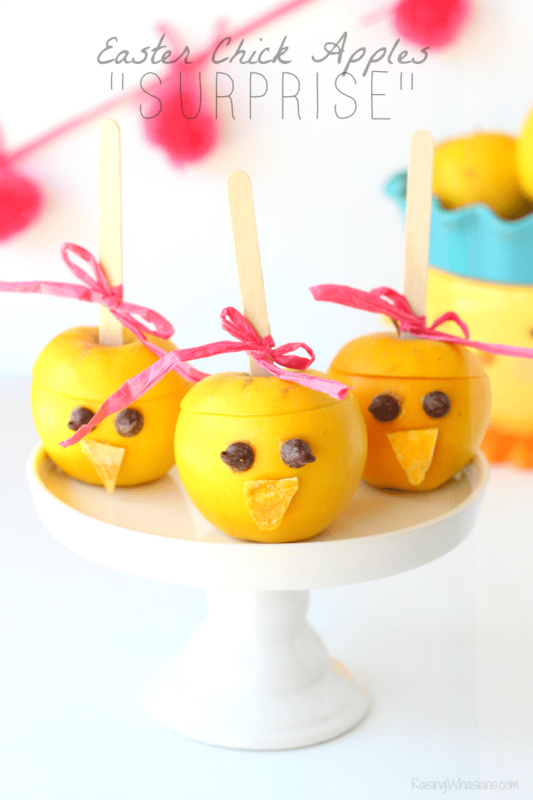 What a cute craft idea for kids! 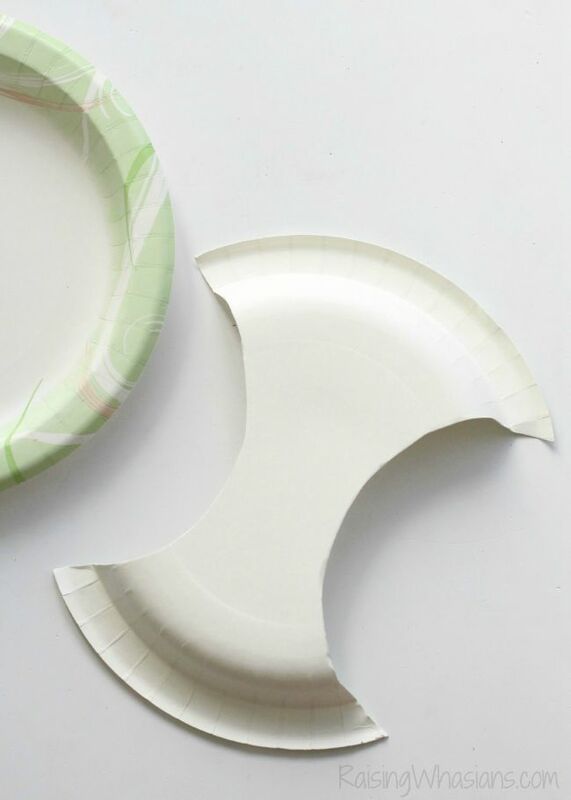 I love paper plate crafts – these turned out adorably! You should link them up at our It’s Friday, We’re In Love – Apples themed permanent link-up (see our sidebar for details.) 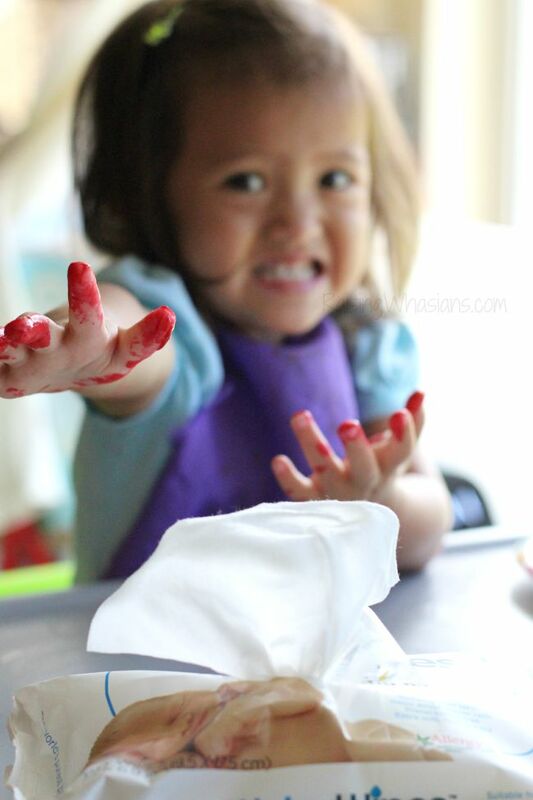 We love WaterWipes too and use them for clean-up everywhere!